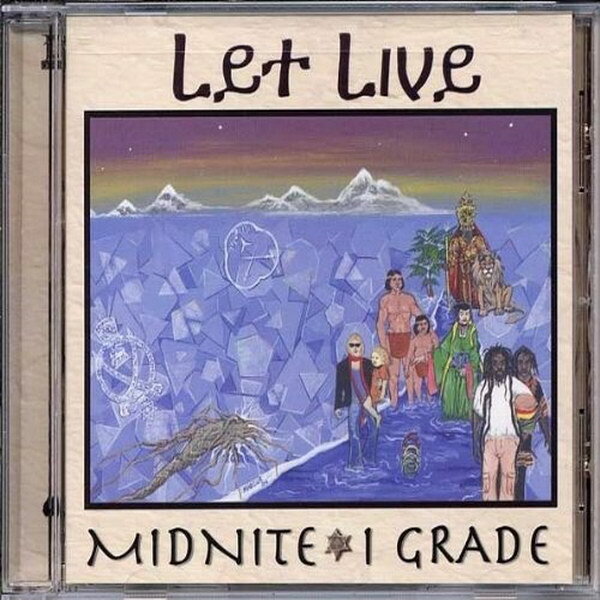 Let Live font here refers to the font used on the cover artwork of Let Live, which is an album by Midnite, a roots reggae band from St. Croix, U.S. Virgin Islands. The font used for “Let Live” on the cover is probably Adis Ababa, which is a typeface designed based on the letters of the Ge’ez script used in the ancient Ethiopia and Eritrea. As for the band name lettering, it is very similar to a font named Herculanum designed by Adrian Frutiger. Both are available as commercial typefaces and you can view details about them here and here respectively.